After being inspired by Track 7’s White Stout, the discussion about how to create a white stout got much more serious. We began researching an formulating our recipe. A white stout is created as a result of omitting dark, roasted malts from the grain bill and replacing them with cold-steeped coffee, cacao nibs, and/or vanilla beans. The coffee, cacao nibs, and vanilla beans are added to the beer (post fermentation in the case of Track 7) to impart the bitterness and roasted character that the dark, roasted malts impart, but without the color. From what I’ve seen, brewers also add oats for a fuller mouthfeel as well. By no means was this a recipe, but it was a great starting point. 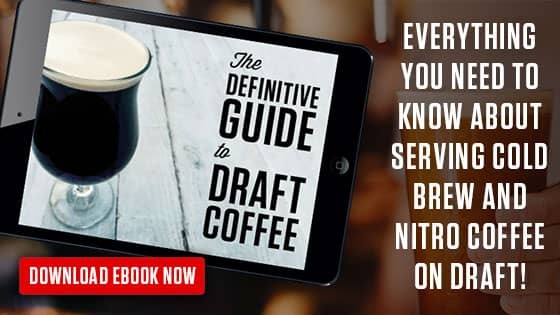 This also shed light on how the white stout had so much coffee and roasted flavor but non of the inherent color that come with those types of malts and additives. Then we came across this post at The Single Hop. This didn’t come up in our initial search as we had been looking primarily for the term ‘white stout’, not ‘pale stout’. We reached out to the author and were able to get some good info from him. He seemed to think that adding a cold brew coffee concentrate to our beer would definitely darken it up considerably. We took this advice to heart and ended up adding whole coffee beans after primary fermentation. We found a few other recipes for white stout which we took into consideration in developing our own. This recipe noted on HomeBrewTalk.com. Then we came across this post on BrewDog.com that references this video that James Watt of BrewDog and Greg Koch of Stone Brewing Co had put together as an April Fool’s joke. The joke at the time was that BrewDog and Stone were collaborating on a Golden Imperial Stout called Luciferin. Come to find out, BrewDog actually brewed and released this beer as AB:08 about a year and a half after the April Fool’s video was released. Taking all of these ingredients, recipes and suggestions into mind, we came up with the following recipe. At start of fermentation, begin soaking 4-8oz of cacao nibs in vodka. After primary fermentation is complete, add cacao nibs and vodka to fermenter during secondary (for the remainder of fermentation).We used 4oz of Ecuadorian cacao nibs along with 2oz of Dominican cacao nibs from Ethereal Confections.Cold brew a coffee concentrate with a light/blonde roast. Add 6-16oz of coffee concentrate into fermenter during secondary fermentation.We replaced the idea of using cold brew coffee concentrate with using whole beans. We generally use 2-row as our base malt, but since we were doing an experimental beer (or exBEERimental if you follow the Brulosopher though we didn’t have a control), we decided to experiment with everything. In this batch, we used Maris Otter as our base. We decided to use 3lbs of flaked oats despite the hint from the BrewDog blog, “Add mountains of oats to the malt bill to give the beer a thick, dense mouth-feel.” The idea behind the outs was to give a smooth, silky mouthfeel while still contributing some body to the beer. We used 2lbs of flaked barley to help with head retention and body and we added 2lb of crystal 20 to help import more body and and a little sweetness. Lastly, we decided to add 2lbs of smoked malt. At 5 lovibond, the goal was to add some smokey/roasty flavor to the beer without imparting any color. The brewing process for this beer was no different than most beers. Mash, boil, add hops, chill, transfer to fermenter. It was during the fermentation process that many of the qualities and flavor characteristics were added to the beer. After brewing, the wort was transferred into our 14G Chronical Fermenter and set to rest at a cool 68F with Wyeast Ringwood ale yeast. Adding the cacao nibs to the fermenter after primary fermentation had completed was in essence our way of dry hopping the beer with chocolate. In addition to the smokey/roasty flavor we were trying to obtain from the smoked malt, we wanted to impart a bit of chocolate as well. Same goes for the coffee. 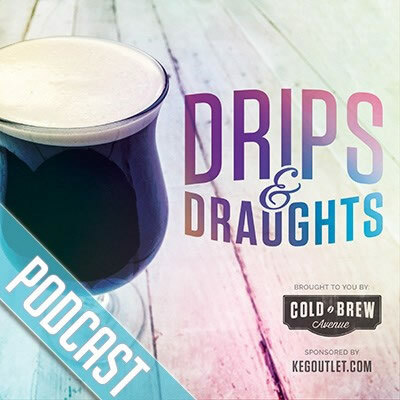 Initially, we had planned on adding a pint or so of cold brew coffee concentrate to the fermenter, but after further thought and research, decided that it would contribute too much color to the beer. We settled on adding whole beans to the fermenter for 48 hours. After the first 24 hours, we cold crashed for 24 hours prior to kegging. 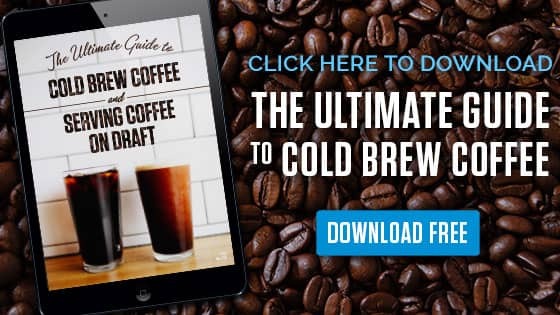 We had never used whole beans and were unsure as to how much flavor would actually come across into the beer, but after doing a bit of research, we were fairly confident that adding whole beans would infuse enough coffee flavor into the final product. We’re curious to hear what you think. Let us know if you’ve brewed something similar, or if you just have a general critique/comment/suggestion, we’d love to hear from you. We went into this brew day not entirely knowing what to expect, but as you’ll read in the next post, we were pleasantly surprised and will definitely be brewing this again with some minor tweaks.